It is the law that Fenn spring traps must always be set inside an appropriate size natural or artificial tunnel or a purpose made container such as the Elgeeco Fenn Cage. In the UK, spring traps must satisfy parliamentary approved mechanical characteristics. 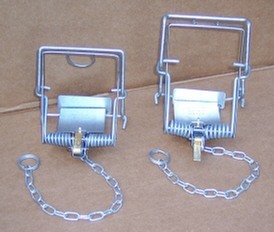 It is known that some Fenn traps on sale in the UK are imported and are not approved. Their use is illegal within the UK. Grey squirrels, stoats, weasels, rats and mice. Rabbits, mink, grey squirrels, stoats, weasels, rats and mice.